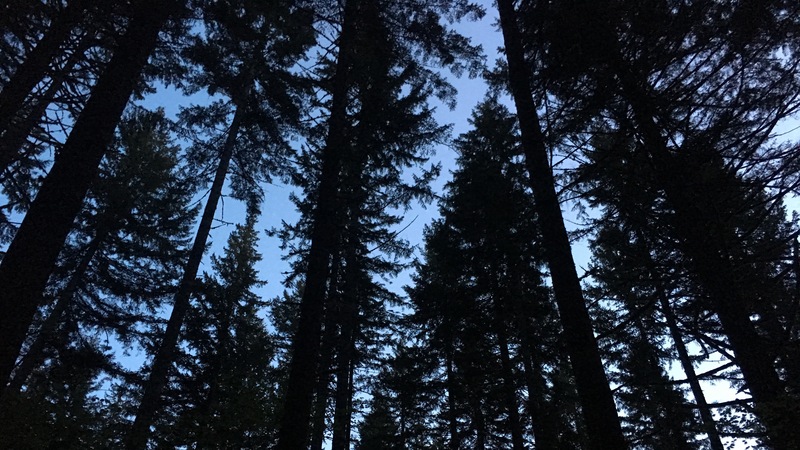 Growing up in Portland, Oregon, I knew the story of the Tillamook Burns – repeated forest fires started by careless human actions. 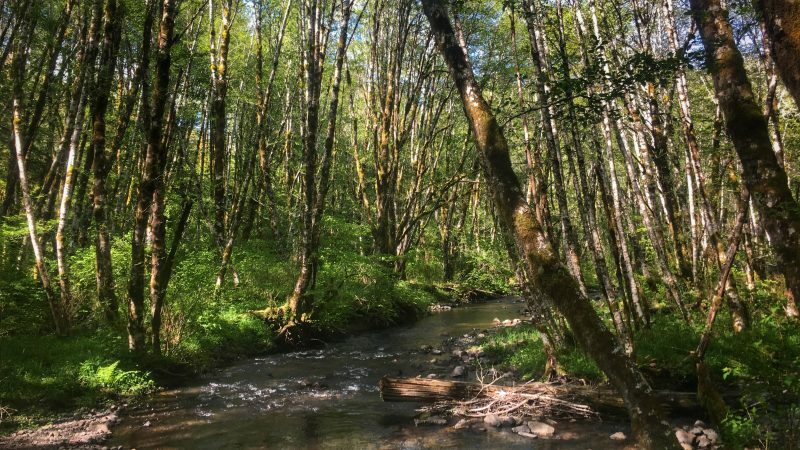 A massive replanting effort took place starting in the 1950s, and later the Tillamook State Forest was formed. It is now home to my some of my favorite running trails, notably the Gales Creek, Elk-Kings and Wilson River trails. 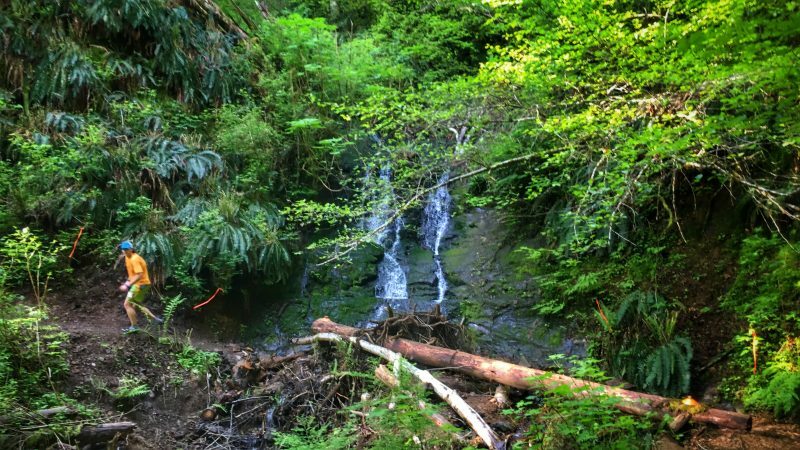 The Tillamook State Forest, 45 minutes west of Portland, is a lush, dense and deceptively steep trail running playground. 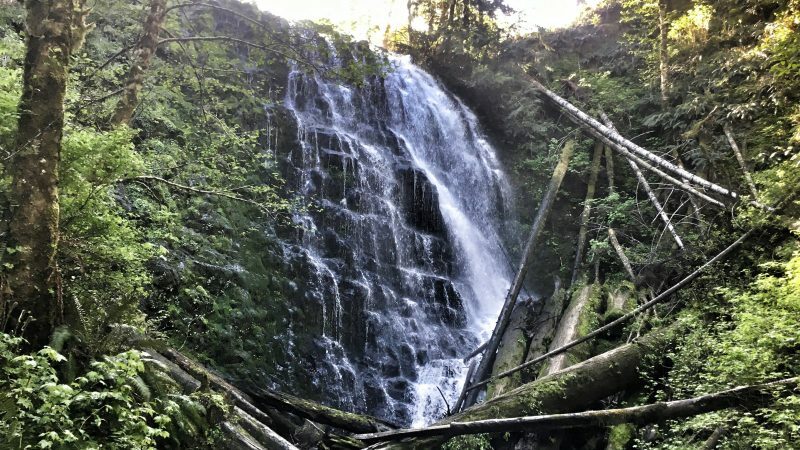 When I discovered a new race, the Run the Burn 50-miler, that traverses these very trails and fell on a date that fit with a previously-planned family trip to Oregon, I signed up without hesitation. The Run the Burn 50-mile course features substantial climbing (9300 feet) in a general out-and-back fashion. Three loops break up any out-and-back feeling to the route and add the convenience of accessing the same drop bag on three occasions. Most of the course runs on soft, groomed single track, although the challenging Larch Mountain Loop is on dirt forest roads. I started race morning feeling immensely better than my race the week before, owing to some medication adjustments that were already having a positive effect. I knew the day would still be challenging, and set out to simply enjoy a supported 50-mile training run in a special place. I had studied the map and understood the course layout pretty well, but remained vigilant in asking “which direction” at each aid station stop. I found the intersection for the short out-and-back to University Falls confusing, but a fellow runner pointed me in the right direction. Mid-way up the climb, my hands were super-swollen and my head had a dull pounding sensation. It was not a hot day, so I didn’t understand the swelling or how to fix it. 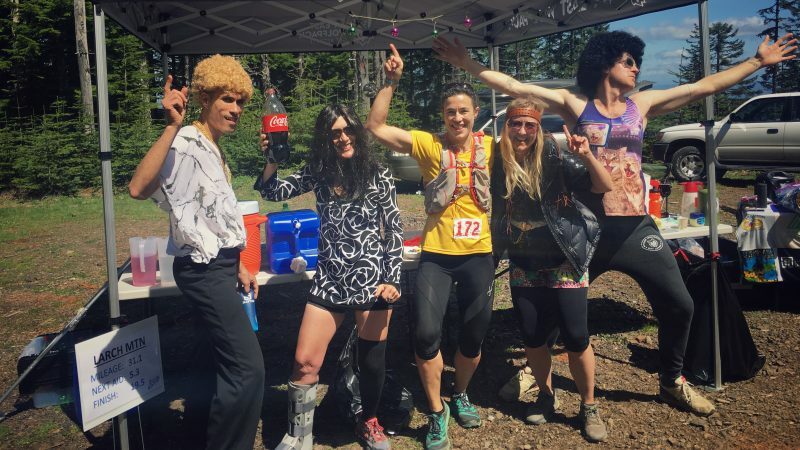 A fun crew (Wy’east Wolfpack) at the summit aid station greeted runners, where I took two cups of coke and turned to head back down. I let gravity take me down the steep descent and thought about the remainder of the course. Just one more big climb and descent. 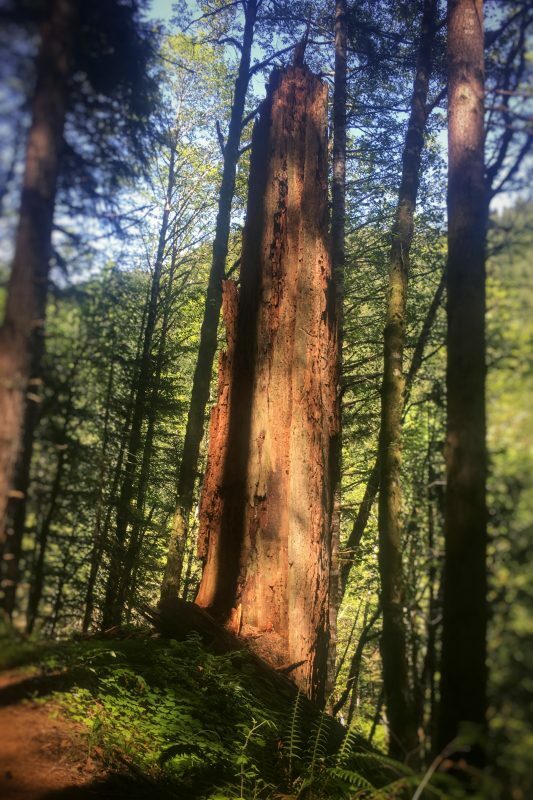 I knew the climb – about 8 miles up really great single track on the Gales Creek Trail. The field was very spread out and I saw few other runners, which didn’t help with my motivation. The Gales Creak climb was longer than I realized, and I just didn’t feel good the last couple of miles to the top. I perked up as I reached the aid station before the final descent. Out of the last aid station, I was on the look out for the final loop on the course, called “Steep Creek.” I soon saw a right-arrow sign for it at a road crossing, but the course markings very emphatically continued straight on the single track. I continued 3/4 mile downhill on the single track until I saw another marking on the right. This turned out to be the output of the 3-mile Steep Creek loop, which I had apparently missed. I had been out for over 46 miles and 9 hours. I felt like crap. The thought of running back up to the start of the loop was untenable, as even running downhill was a struggle. The finish area was just over a mile down the hill, so I decided to call it a day. As I entered the finish area, I told the race director that I missed the loop and didn’t want a finish time. At least 8 other runners also missed the loop, many of whom choose to go all the way back up from the finish to make it a 55-mile day!! The race director immediately drove to the intersection and fixed the markings. We hung out at the finish area for quite a while, enjoying the Pacific Northwest hospitality that so makes me feel at home. Comforting food, beer on tap (yeah, I’m allergic to all that stuff), and a bon fire to warm the bones. And even though I’m not a big swag consumer, I have to admit that the swag was top-notch, emblazoned with a Tillamook Burn motif of an old growth snag. Although a bit disappointed at not having an official finish, I really feel it was remarkable I could manage a 47-mile day given that I wasn’t recovered from my health challenges. I highly recommend Run the Burn – the race management did a great job with their inaugural event. With a little more attention to the course intersections (perhaps course marshals at the trickiest points), next year will be even better. 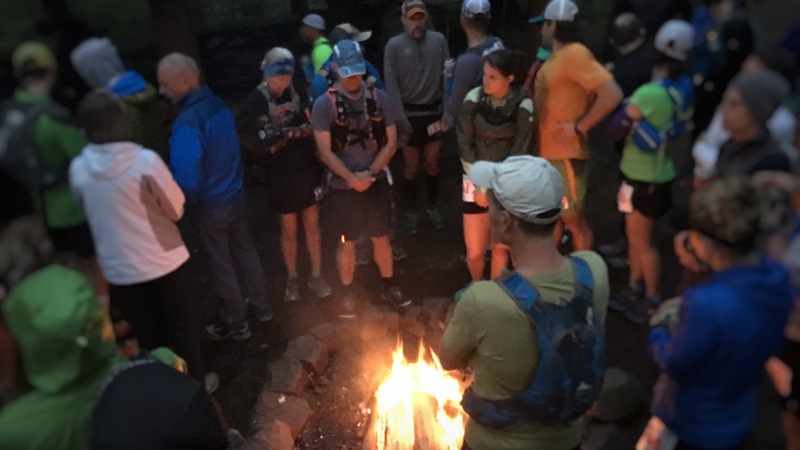 With my Castle Peak 100k race director hat on, I feel that the key components to a successful trail race are: the best course possible, great people at great aid stations, a well-marked course, and a finish-line that celebrates it all. The Run the Burn 50-miler hit the nail on the head, with the tiny exception of the course-marking hiccup. Click here for my Run the Burn activity on Strava.